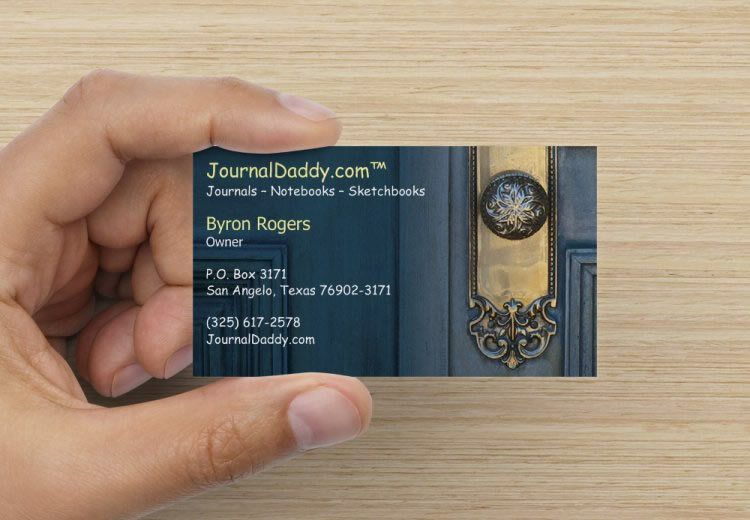 New business card for JournalDaddy.com. They should be in before the next First Saturday show on April 4, 2015. I think the door is a great metaphor for the journal, notebook and sketchbook trade. Be sure to come by and pick up a new card with our thanks. It makes a good bookmark also. What do you think of the card? Let me know what you think. You can like it above or below.